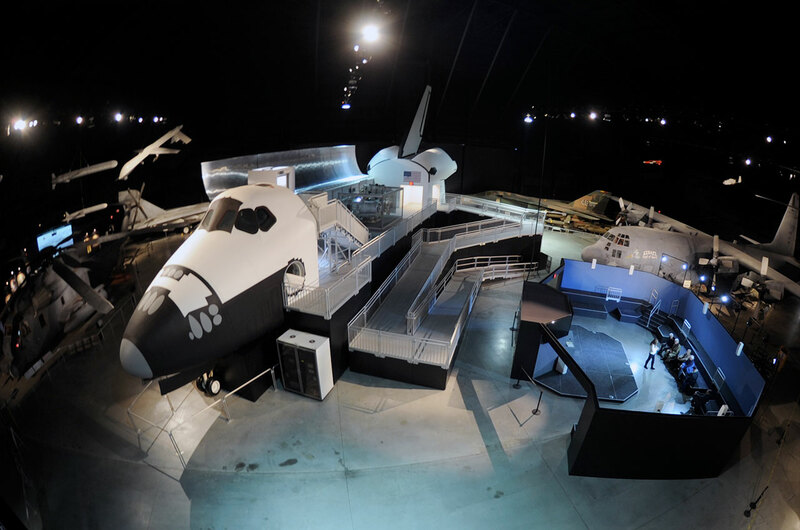 – A historic mockup of a NASA space shuttle crew cabin has grown wings and a tail to launch as the newest exhibit at the National Museum of the U.S. Air Force in Ohio. 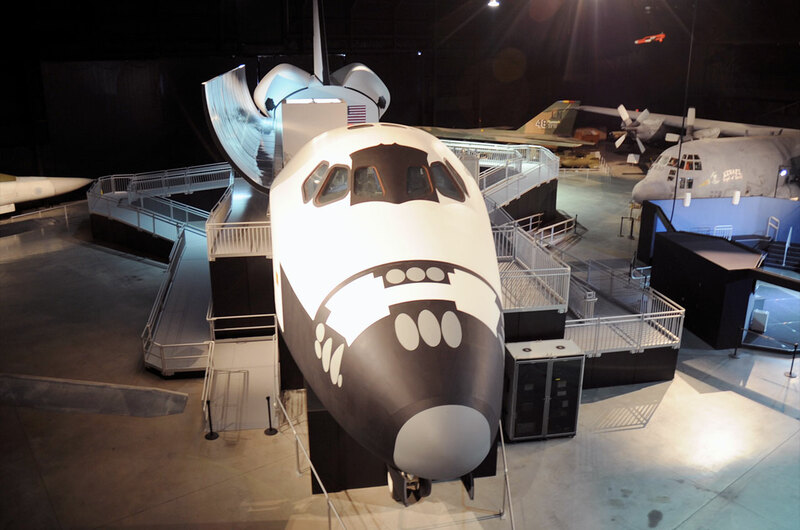 "We are very pleased to open this one-of-a-kind Space Shuttle Exhibit," Lt. Gen. Jack Hudson, the director of the National Museum of the U.S. Air Force, said. "This exhibit will inspire us all to learn more about space and the role of our Air Force in space." 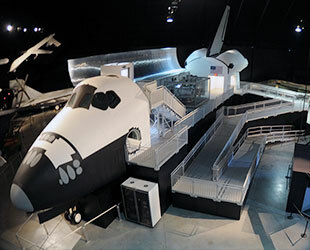 For three decades, the museum's CCT was used in the Space Vehicle Mockup Facility at NASA's Johnson Space Center in Houston, Texas to introduce astronauts with the layout of the space shuttle's cockpit and living areas. The trainer's switches, dials and instruments are non-functional but the mockup could be tilted to point its nose skyward, simulating the real shuttle's orientation on the launch pad. The CCT was used to train all but three of the 135 space shuttle crews between 1981 and 2011, including more than 75 members of the U.S. Air Force who flew to space as part of NASA's astronaut corps. A second CCT remains at Johnson Space Center, while a similar mockup that also included the cargo bay and tail section (the Full Fuselage Trainer) was placed on exhibit at The Museum of Flight in Seattle in November 2012. CCT-1 was delivered by NASA's Super Guppy cargo plane to the National Museum of the U.S. Air Force at Wright-Patterson Air Force Base in Dayton in August 2012. It is currently displayed in the museum's Cold War Gallery as it awaits the completion of a new Space Gallery planned for the museum's fourth building beginning construction this summer and opening in 2016. 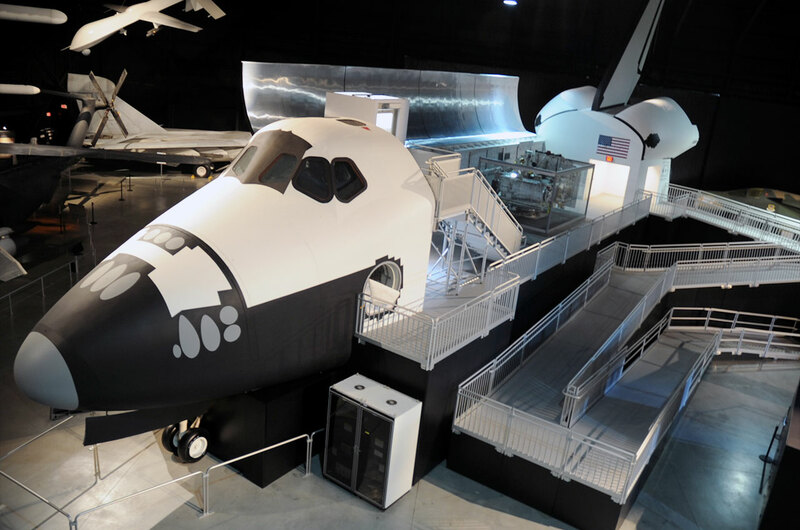 In addition to the replica orbiter body, the Space Shuttle Exhibit also features a 60-seat dedicated educational area or "Science, Technology, Engineering and Math (STEM) Learning Node." When it is not being used for scheduled presentations, the Learning Node will show space-related videos to visitors. "We hope that when you visit — whether that be in-person or online — it will inspire you, too, and become one of the vehicles that launches a new generation of Americans who are well-educated about space and STEM," Hudson said. The museum has placed into the CCT's new payload bay a Teal Ruby early warning satellite, which at one time was scheduled to launch on the space shuttle Discovery from Vandenberg Air Force Base in California. Future plans call for the museum to continue populating the Space Shuttle Exhibit with more artifacts, including spacesuits, and new information displays about the astronauts, space science, living in space, and the Air Force's role in space. 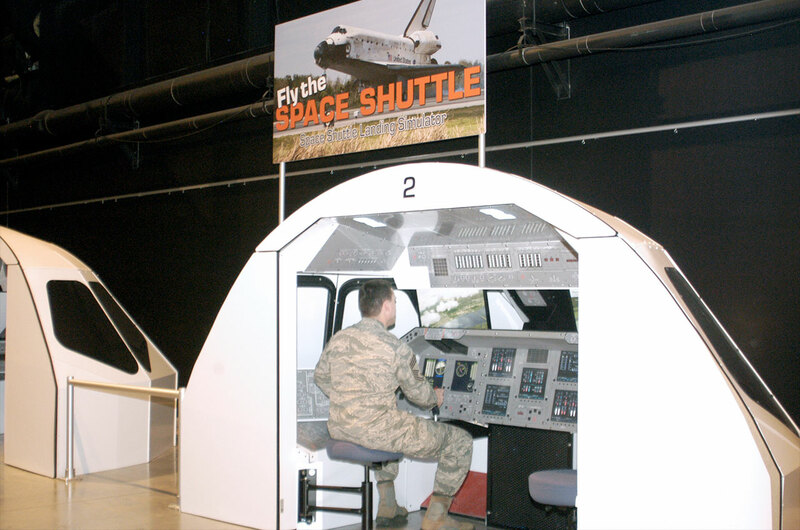 Other current features of the Space Shuttle Exhibit include two interactive landing simulators, which were added last summer to give visitors the opportunity to test their skill at bringing the winged orbiter safely back to Earth. 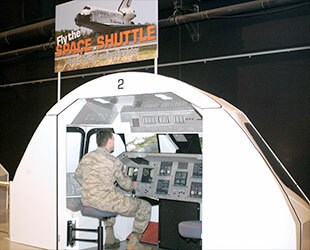 Designed by Historic Space Systems of Danville, Ohio, the shuttle simulators include commander and pilot stations, as well as the forward portion of the space shuttle flight deck with internal cockpit dimensions that replicate its actual size. 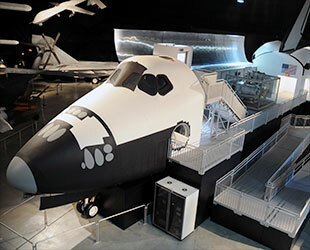 The Space Shuttle Exhibit was designed and constructed for the National Museum of the U.S. Air Force by Display Dynamics, Inc. of Clayton, Ohio. 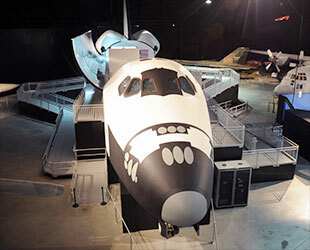 For more information about the new Space Shuttle Exhibit, see the National Museum of the U.S. Air Force website.